The South Korean government drew up a college scholarship plan for the victims of Pohang earthquake, touching off a dispute. 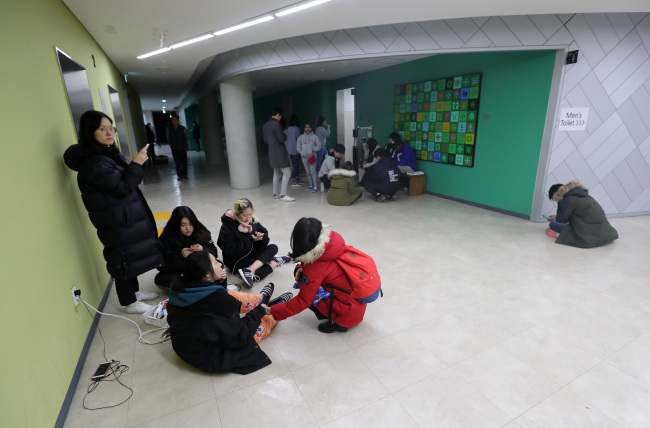 The Education Ministry announced Wednesday that it will offer scholarship to the college students affected by the November earthquake at the city of Pohang, North Gyeongsang Province. College students in the Pohang area can receive one-year scholarship from the government by submitting a confirmation document to the college, regardless of the extent of the damage. Current students can receive the scholarship for the fall semester and the upcoming spring semester. High school students who will enter colleges in 2018 can also get the scholarship for a year. According to the ministry, around 3,000 students are to benefit from the new aid plan, for the total cost of 10 billion won ($9.2 million). The plan, however, sparked a dispute, with some opponents calling it “unfair,” saying that such a scholarship was not offered for students affected by other natural disasters. The Korea Student Aid Foundation, in charge of handling national scholarship fund, said it could prioritize students in immediate need of economic aid. An official from the Education Ministry said that the measure was taken because the Ministry of Public Administration and Security offered a scholarship to all local high school students after the region was declared a special disaster area.